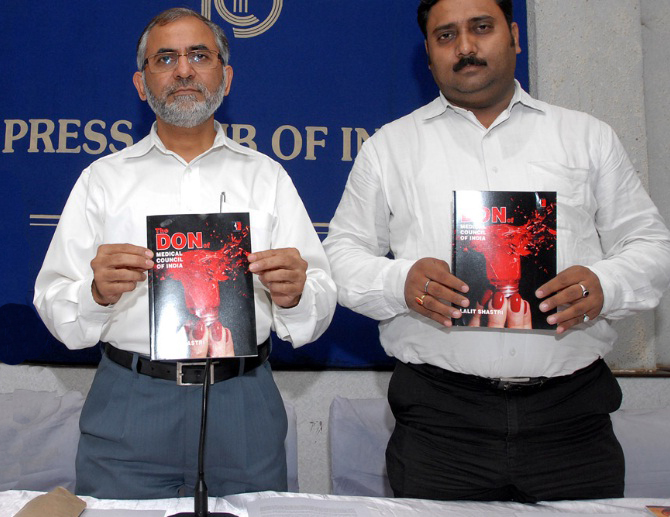 The book, released at the Press Club of India on 15 September 2009, starts with a bang. It talks of massive concentration of power into the hands of a small coterie that was headed by Ketan Desai, a former President of Medical Council of India. The book underlines how Desai had put in jeopardy the entire working of the statutory body created to uphold the highest standards of medical education in India. The MCI was created by an Act passed by Parliament to establish uniform standards of medical education and recognition of medical qualifications in India and abroad. The MCI objectives were supposed to be met through inspection; Permission to start new medical colleges, new Courses-including P.G. or Higher Courses, increase of seats. ; Recognition/de-recognition of Indian or foreign qualifications; maintenance of All-India Medical Register of persons who hold any of the recognised medical qualifications; and issue of Good Standing Certificates for doctors going abroad. The book throws light on allegations of massive corruption and irregularities linked with inspections and the overall working of the Medical Council of India. The crux of the problem is that the Medical Council of India was not being run on democratic lines and as perceived under the provisions of the Indian Medical Council Act. 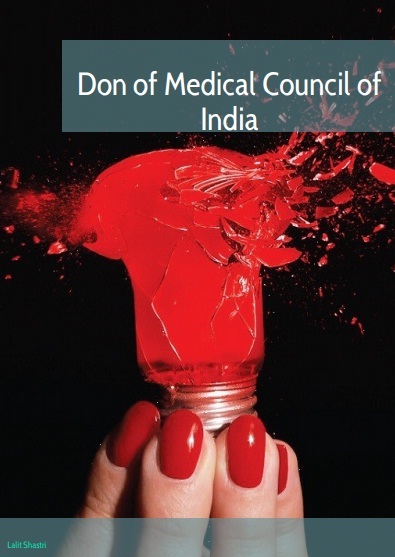 The MCI had been caught in the vice-like grip of Ketan Desai, who blatantly flouted the provisions of the Indian Medical Council Act and the Regulations governing its working on his whims and fancies and also to serve the vested interests.